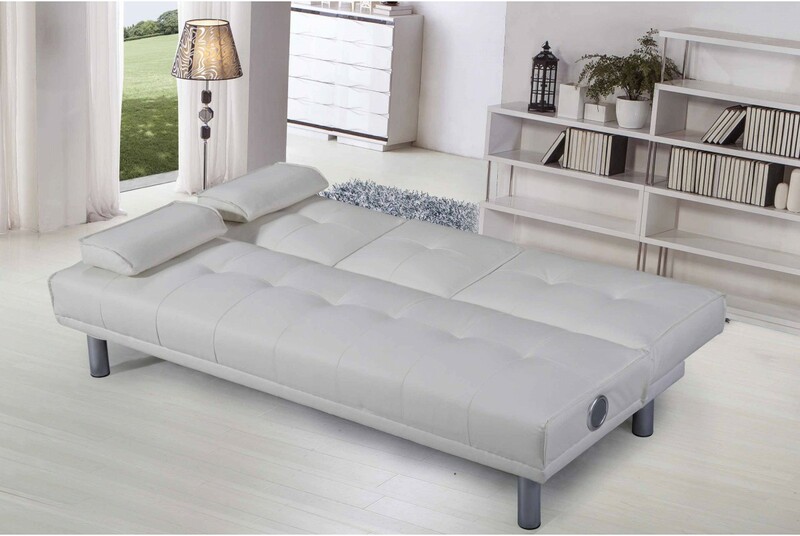 Contemporary and very popular faux leather sofa bed with chrome steel legs for extra support. 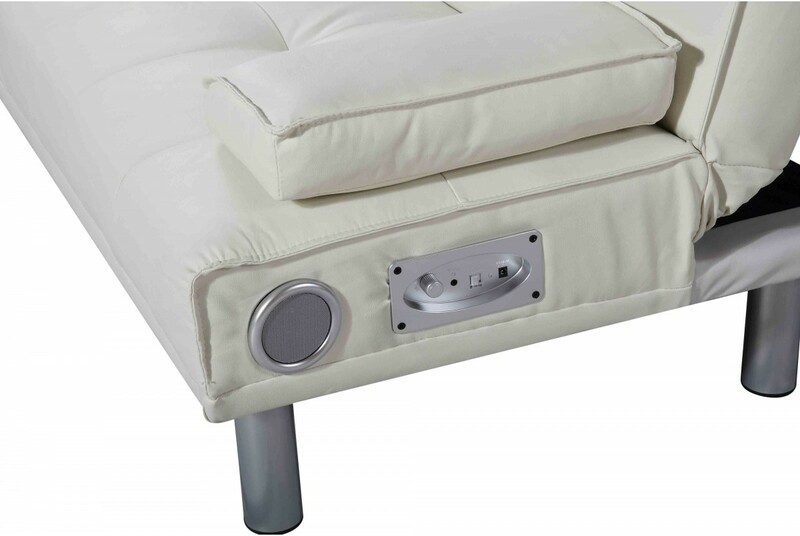 Features a very easy klik-klak mechanism for instant multi-positions - arm pillows and fold-down coffee table. 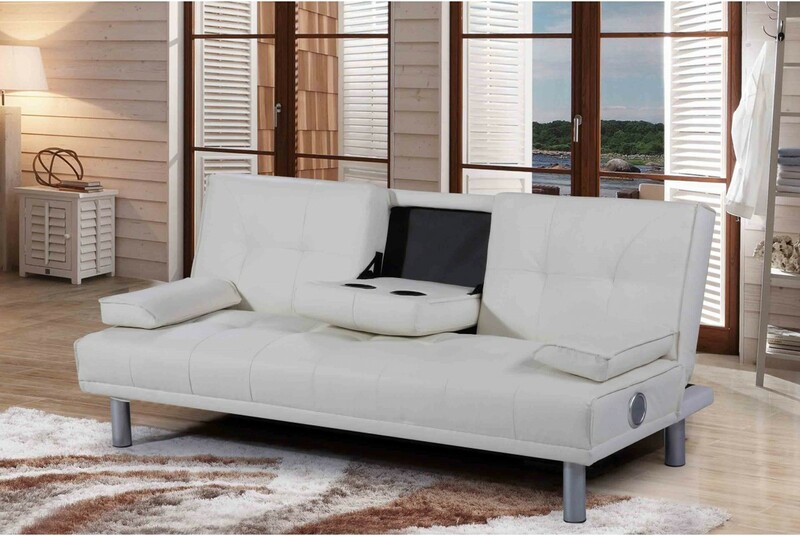 The total versatility and multipurpose use of this attractive sofa bed is a great asset. This Sofa Bed comes in Black with built In Bluetooth Speakers. Simply plug the Sofa bed into any 230v socket, pair your bluetooth device & sit back & listen in the comfort of your own sofa. The ability to convert into a bed makes the Manhattan Sofa bed suited to living space where every inch is precious. 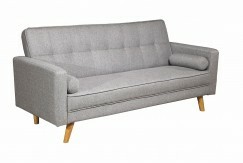 This Stylish Modern 'Boston' 3 Seater Fabric Sofa Bed comes in Light Grey . This elegantly designed 'Charles' Sofa bed oozes class & sophistication & would look great in any home.